Bake pastry shell for five minutes. Remove from oven and set aside. In a frying pan over medium heat, saute the onions until soft and translucent. In medium bowl, mix the eggs with milk and all seasonings. Sprinkle the onion and crumbled bacon into the pastry shell. Cover with the cheese. Pour egg mixture over the cheese. Bake for 45 minutes until egg is completely set. 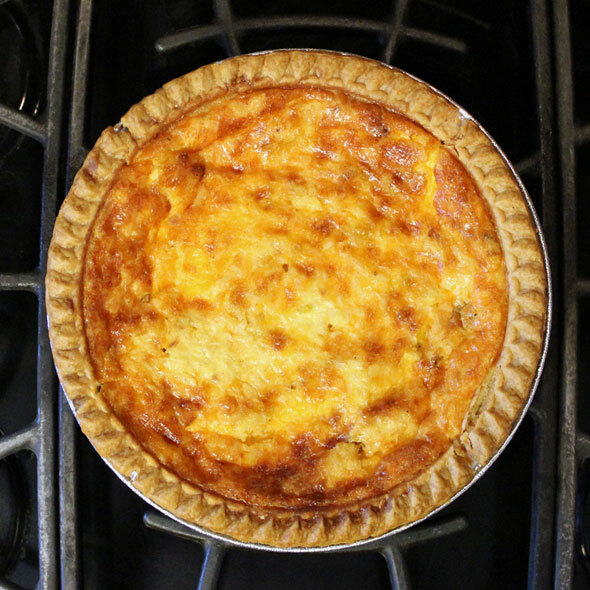 If a toothpick inserted into the center comes out clean, the quiche is done. My exact cooking time was 50 minutes. I covered the quiche loosely with aluminum foil at the 35 minute mark to prevent the crust from over-browning. A trick I like to use is to mold the foil over a large plate to create a round quiche-cover and then I remove the foil and place it gently over the quiche in the oven. To prevent the edges of the crust from becoming too well-done, I like to tear off thin strips of aluminum foil and place them over the edges of the pastry shell before I place the constructed quiche in the oven. 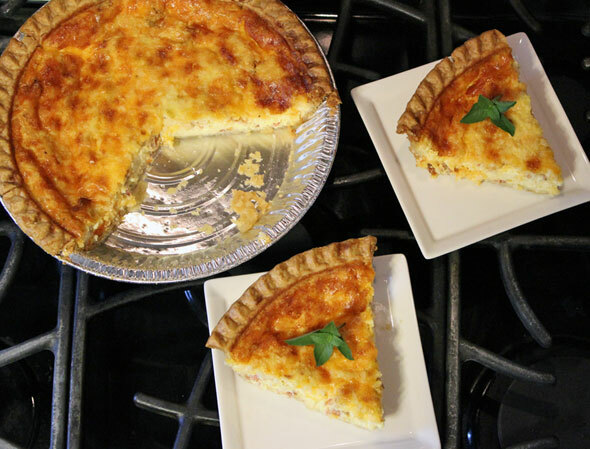 This easy-to-make quiche requires a store-bought pastry crust. 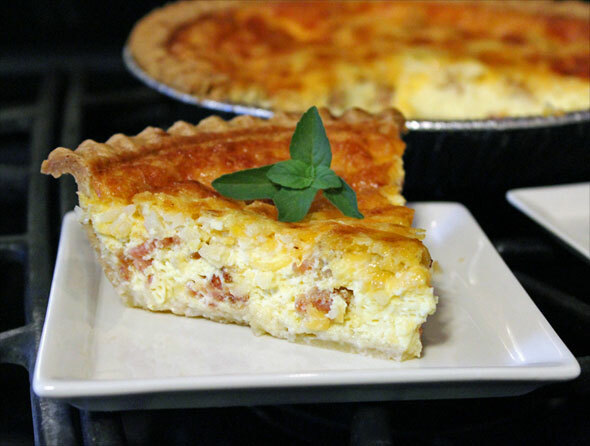 It features bacon, Cheddar cheese, onion and some select seasonings. Mr Breakfast would like to thank looney for this recipe. Recipe number 1891. Submitted 11/13/2006.